PinPoint Search helps you show your contacts visually on a map. The application automatically loads your contacts and their information and displays them geographically... you may find contacts that you have forgotten! Locate friends, colleagues and your favorite places! PinPoint Search accesses your contacts and associates a red pin with each contact that has a complete address including street, city and state. You will see a large rotating pinwheel and then the pins will start dropping the contact’s address on your map screen. A list of contacts with incomplete addresses will also appear, and you can use this screen to edit your contacts at any time. Expand the screen until the areas with many pins separate into distinct locations for each contact. Tap a pin to display the contact’s information. You can change the pin colors to distinguish friends, colleagues and locations from each other. To do this, tap on the contact symbol at the bottom of the map screen. Your mapped contacts will appear. Swipe the contact and contact options will appear. Touch-select a color to categorize a contact on your map screen as a friend, colleague or a location. The map screen updates automatically. The Import Contacts symbol is used to list incomplete addresses. If you tap on the symbol, your contacts with incomplete address information is displayed. Pinpoint Search only maps contacts with a complete address (street, city and state). If you select one of these incomplete addresses, you can complete the missing address information. Once you have done this, the contact will be automatically displayed on your map screen. What happens if the pins appear to be on top of each other? If you have several contacts in the same geographical area, the pins may appear to be on top of each other. They are not. Keep expanding the screen until the pins are distinct from one another. There may be many pins. Expand the screen to drill down on a set of contacts. Do you require a log in procedure? No. However, some contact mapping programs do and collect your email address and your phone number in the initial log in procedures. We collect no information. PinPoint is located on your computing device, smartphone or iPad, and we have no access to any data on your device.  PinPoint Search is your app. You control PinPoint Search. We collect nothing, not a single shred of data, except a small fee when you purchase the app and for that we thank you and hope you find the app useful.